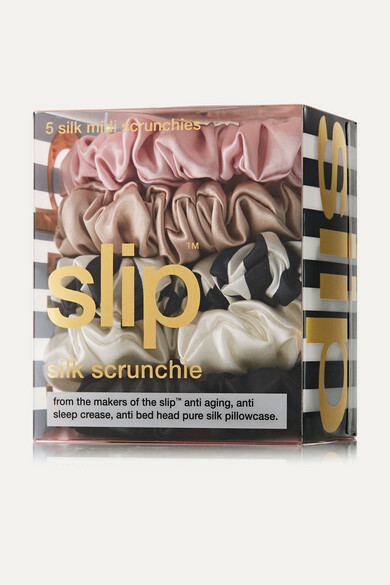 Slip's set of five midi scrunchies strikes the perfect balance between the brand's large size and its new skinny version. Each one is made from high-grade mulberry silk that feels incredibly soft and keeps strands smooth and shiny. The comfortable elasticated band prevents breakage caused by pulling or tugging. Keep one or two in your gym bag and desk at work.